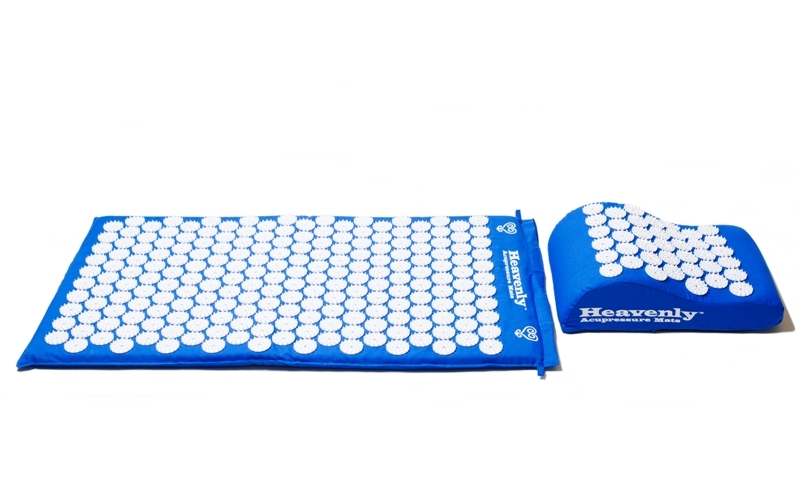 Heavenly Acupressure Mats for Natural Pain and Stress Relief, Deep Relaxation, and Wellness. Tired of taking pharmaceutical drugs with their numerous side effects? Find out why millions of people worldwide are now using acupressure mats to help them to naturally Reduce Pain, Stress, and Anxiety as well as for Deep Relaxation and Wellness. The success stories are great and so are the results! Acupressure mats have been featured on TV including on CBS News, The Dr. Oz Show, and on ABC News. The Heavenly Acupressure Mats and pillows can be an effective solution to the problem of chronic pain and stress. Our body’s stress hormones (cortisol, adrenalin, and noradrenalin) production increases when we experience physical, psychological, or inflammatory stress. These increased levels of stress hormones, and cortisol in particular, impairs our body’s immune response, results in increased blood pressure and blood sugar levels, and negatively impacts our metabolism, and often results in muscle tension, muscles and joint pain, while increasing our sensitivity to pain. Acupressure mat sessions are very effective and may improve your overall well-being, especially if you’re stressed out, have back or neck pain, migraines, muscle tension and stiffness, experiencing insomnia, or just need a deeper, longer, and more complete sleep cycle. 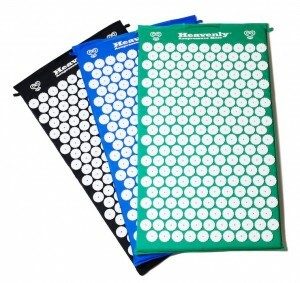 Acupressure mats works though the application of pressure on numerous points over an area of your body, and by stimulating specific acupressure points in your body, as well as your skin and muscles. Relief is usually immediate. When using your Heavenly mat, pressure from the 8,820 spikes on the acupressure mat activates the release of endorphins (natural pain killers) and oxytocin (natural “feel good” hormones.) Endorphins are effective in blocking pain and producing analgesia, while oxytocin helps to relax and increases our sense of well-being. With higher levels of oxytocin released into your body, the levels of stress hormones in drops. Injured or worn-out tissues are repaired or replace. Pain is reduced, blood pressure drops, anxiety and worry decreases, metabolism increases, and our body’s performance and durability increases, resulting in a physiological balance and increased well-being..
With regular use, deep, chronic tension, pain and stress can be reduced, and you can experience a long-lasting sense of ease and well-being. The Heavenly acupressure mat can also be used for pure relaxation by simply lying on it for 15 to 20 minutes whenever you desire it.